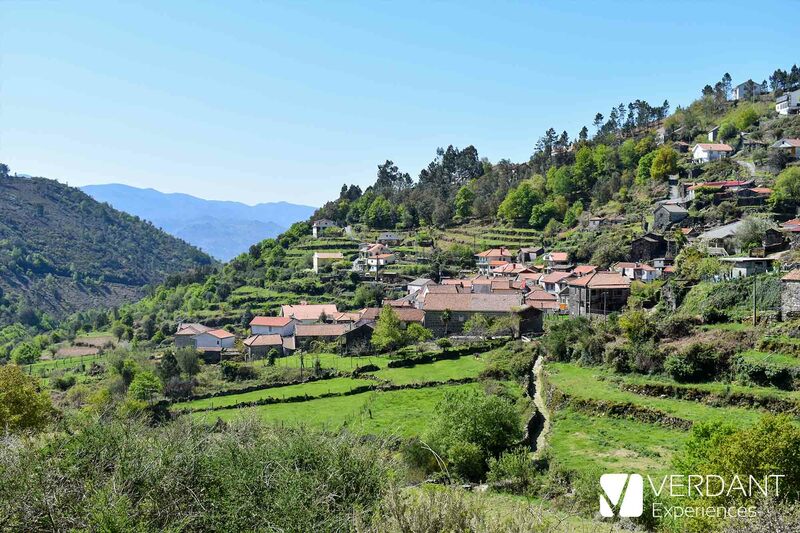 This second route of this initiative starts in Soajo (Portugal), a village with small houses built in granite and with stone streets, located within the Transboundary Biosphere Reserve Gerês-Xurés, just 20 minutes from the border with Spain. 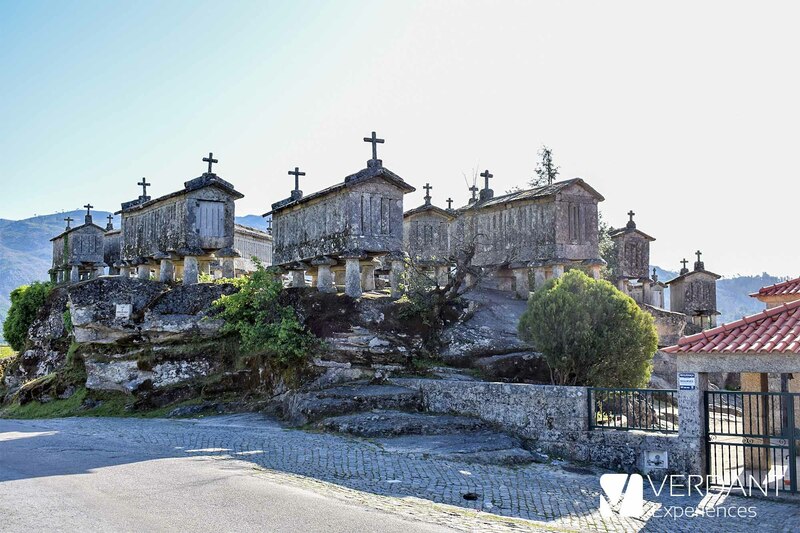 At the entrance to the village stands an imposing set of 24 hórreos (granaries) of stone, where cereals (mainly corn) were stored and in which you can find architectural elements of the eighteenth and nineteenth centuries. 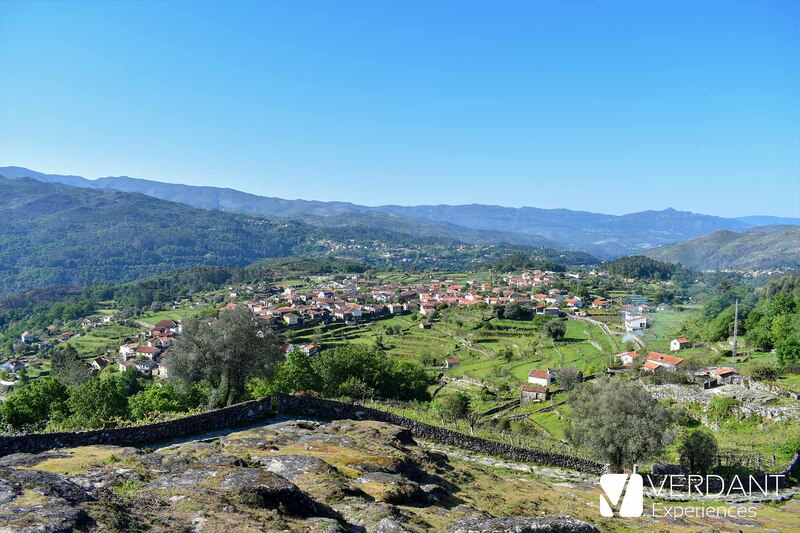 Behind this village we can see the Serra do Soajo, a mountainous area within the Peneda-Gerês Natural Park and at the top of it we will see our objective: "Alto da Pedrada". 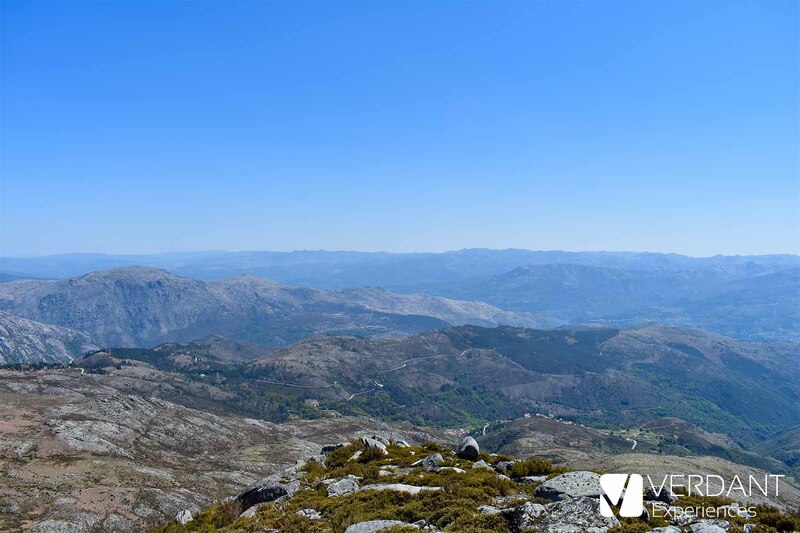 With a height of 1,416 meters, it is the highest mountain in the district of Viana do Castelo (Portugal). 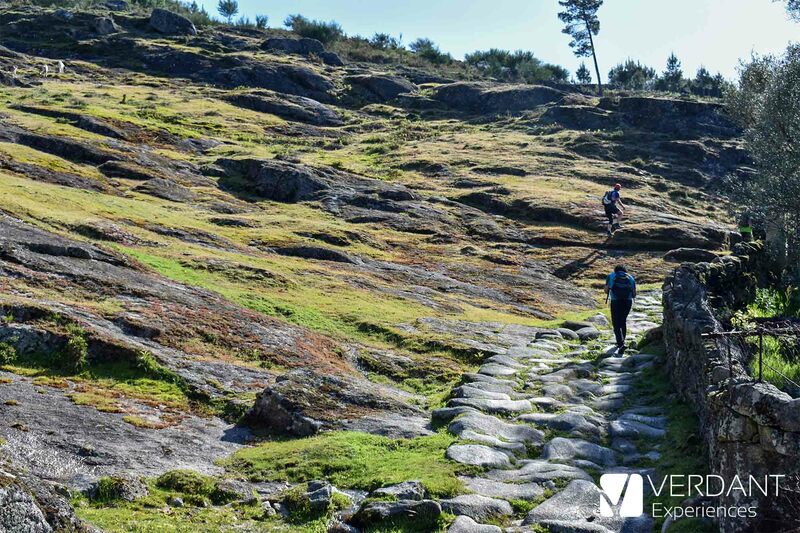 We start the trail at 294 meters altitude, walking through the streets of Soajo until we reach a stone path formerly used to go to the Pilgrimage to Peneda. Soon after leaving Soajo we will find cattle, several stone mills and we will also have beautiful views of the village. 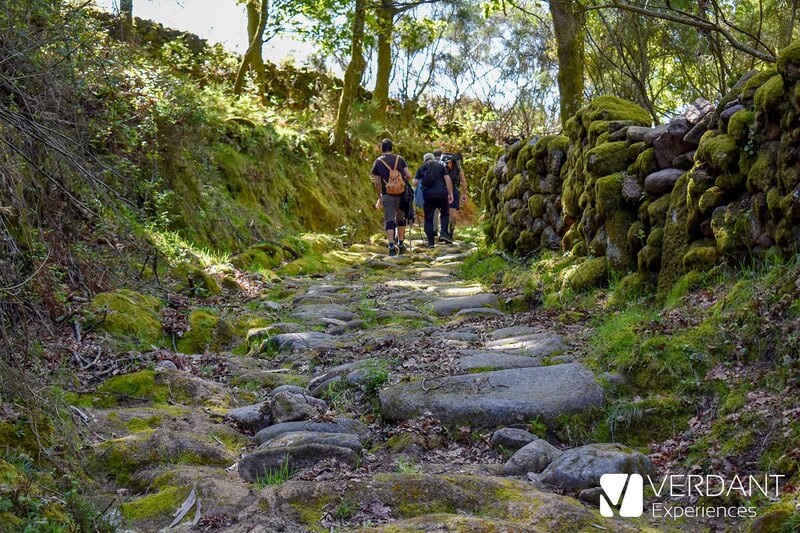 During this easy path we crossed the village of Adrão, which is in a small valley and looks like a very charming place. 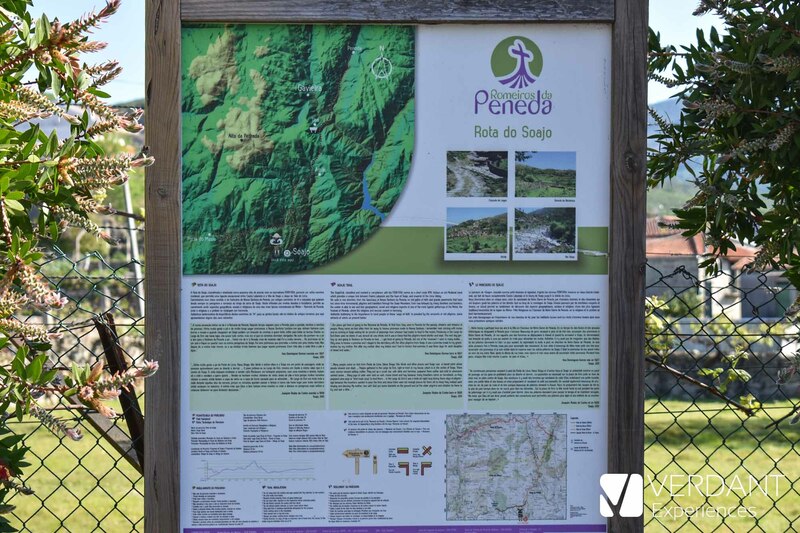 From here on, a 7.5 km ascent will take us to the top of the Serra do Soajo, a path that became hard not only because of the inclination but because of the heat of this day. Along the way we found several fountains, narrow roads and especially a lot of wildlife. Special mention to a typical bovine race of the North of Portugal and Galicia (Spain), the cachena. 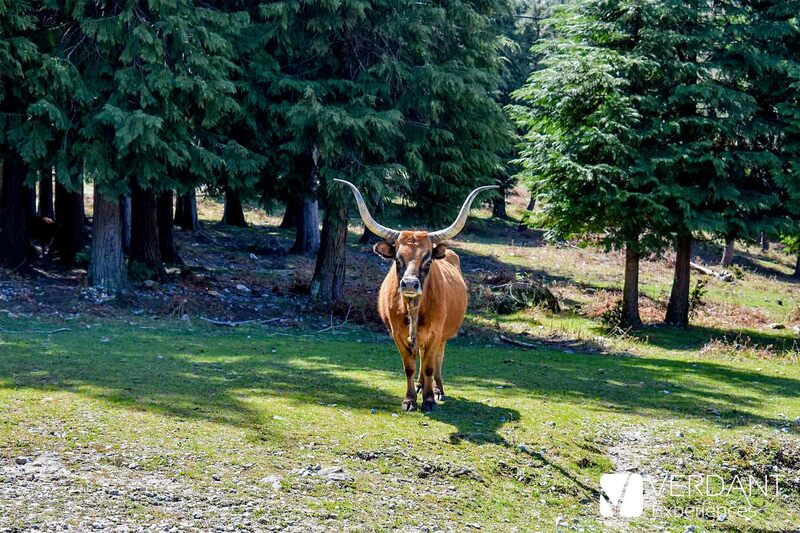 It is a small cow with horns of great proportions, which is perfectly adapted to the environment taking advantage of the natural resources of its habitat. 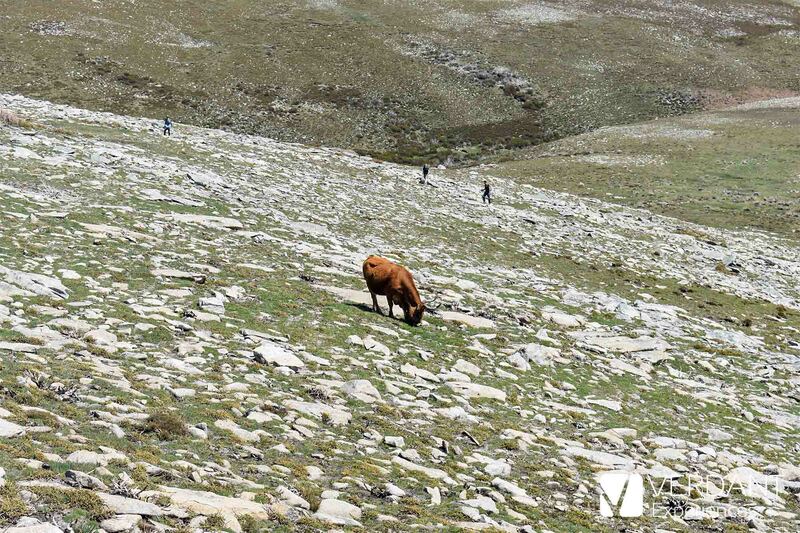 We can find it grazing in remote areas of the mountain, and it is used as a producer of excellent quality meat similar to the Japanese Kobe. The horns that they have are great to be able to cross areas of undergrowth and to defend themselves against their main enemy, the wolf (very common in these mountains). On the slope of the mountain, before climbing to the top and on both sides, we will find shepherds' huts (also called chivanas). 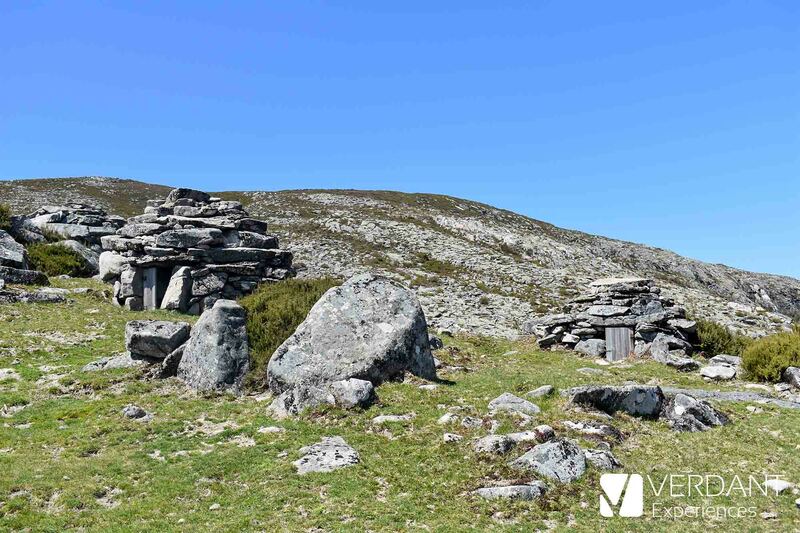 They are stone buildings in which the shepherds are protected during the grazing period in those areas, from spring to the beginning of winter. 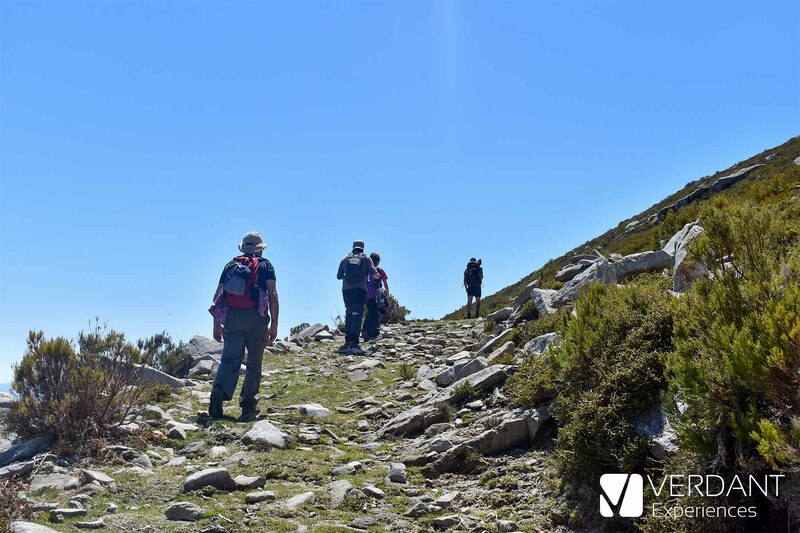 After lunch we started a 12 km downhill hike to return to Soajo. 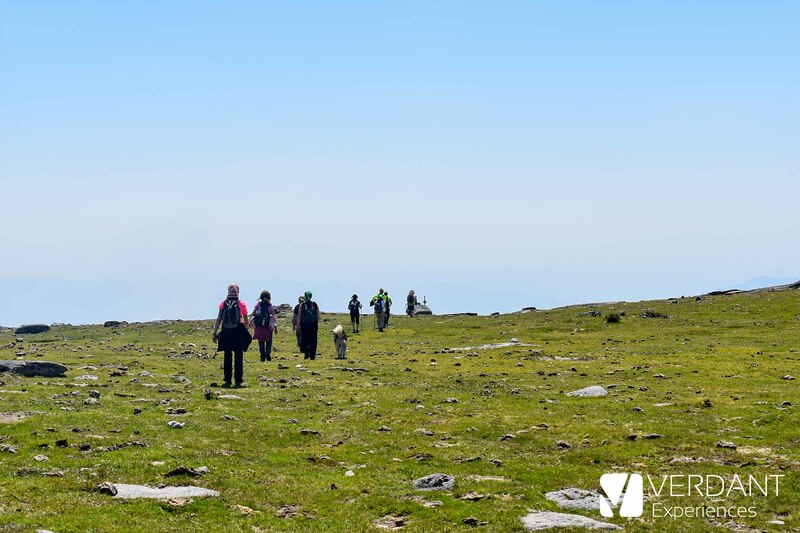 This part of the hike is complicated in some sections because of the state of the soil, since we will find many loose stones that can cause slips and falls if we do not take care. On the way we were able to see more groups of cachenas, also several groups of horses grazing in the mountains, a sight to behold! 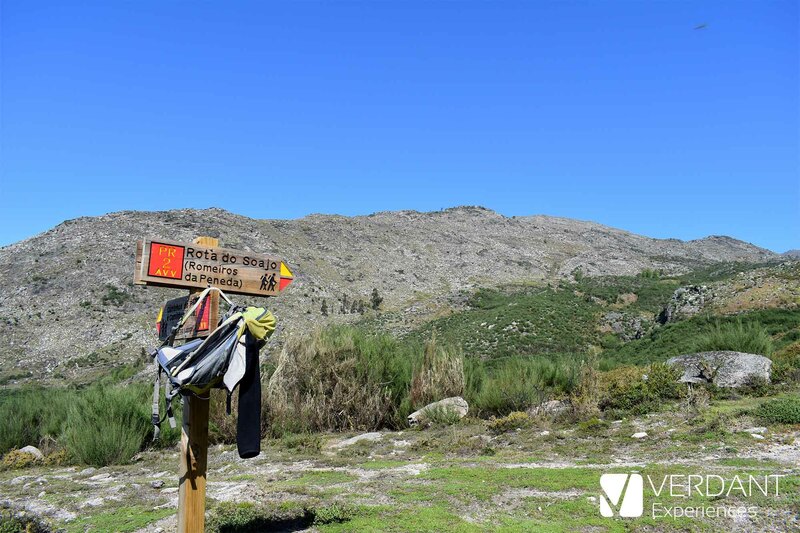 If you are interested in visiting the Transboundary Biosphere Reserve Gerês-Xurés and you want us to organize your stay, you can contact us here.